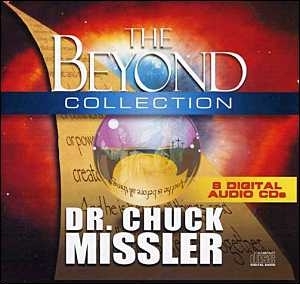 This page contains links to many studies presented by Chuck Missler via Koinonia House. You can purchase all these at the links provided and subscribe to the 66/40 podcast here. They also have a YouTube Channel. Beyond Time & Space The startling discovery of modern science is that our physical universe is actually finite. 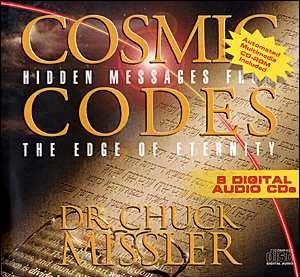 Volume 1: Introduction Chuck Missler reviews the history of cryptography - the study of secret codes - and the background of proposed interstellar languages. Volume 2: Microcodes An exploration of Microcodes, the unique qualities of Hebrew that make it codeable. Volume 3: Macrocodes A study of macrocodes, prophetic messages that God has given through symbolism and types. Volume 4: Metacodes A study of metacodes, the codes that God has placed in nature - signals from the tenth dimension and the code of life. 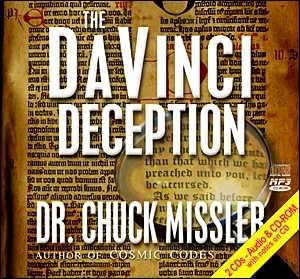 Dan Brown’s bestselling book, The DaVinci Code is a real page-turner but constitutes an intentional and very malicious attack on the person of Jesus Christ and Christianity. It has caused much confusion among those inadequately informed about the origins of the Gospels and the history of the early church. While it is admittedly a work of fiction, it presents, in advance, a series of statements which Brown declares are true and accurate that are not . Brown’s deliberate twisting and distortion of facts throughout the book are cleverly crafted to mislead the uninformed.